This is one of my favorite days of the year! If you know me, you know that MLK is one of my teachers from history—I love his courage, brilliance, and vision. I’m glad that Martin Luther King, Jr.’s birthday was in January because I think it is a great time for all of us to pause and consider how we can help move our world forward this year. 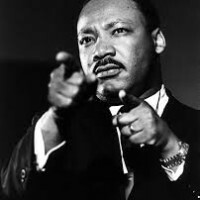 Happy MLK day to each of you and remember, we all can make a difference!! I’m so excited to be attending the DuPage MLK event tonight. If you are in the area and can travel to Elmhurst Illinois, I guarantee you will be inspired and happy you made the trip. Click here for details about the event. This is the first year in many that I will be sitting in the audience. So, come and find me!! !